Millions of years old, the Iberg Dripstone Cave with its sinter cascades and large stalagmites lies deep inside the Iberg mountain. Its unusual formation process, which involved the weathering of iron ore, and its association with historic mining make it unique in Europe. Fossilized sea creatures from the distant past can also be found here. Children experience the cave as the fabulous kingdom of the kind-hearted dwarf king Hübich, who, according to legend, inhabited the Iberg with his people. 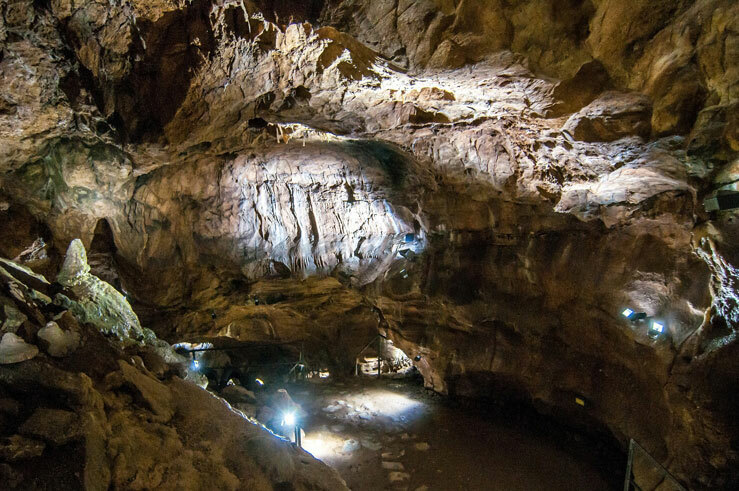 Immerse yourself in the fascinating interior of the earth and experience the famous show cave! A guided tour of the cave in German is included in the entry fee. Foreign-language guided tours of the cave can be booked.